About Us | OSAKA ASAHINA & CO. Since our foundation in 1969, we have always aimed to provide every client with IP legal service of high quality in a manner that is particularly optimized for their needs. The key success factor, we believe, is human resources having practical capability that is based on legal, technical and linguistic knowledge or ability and polished communication skills that enables us to grasp our client’s needs. We are willing to create and provide more added value under our unchanged motto, quickly, certainly and carefully. IP-Related Application, Search, Appeal, Trial, Expert Opinion, Litigation/Arbitration, Contract/Licensing, Consulting, Translation, etc. All technical fields including Chemistry, Biotechnology, Electrical Engineering/Electronics, Mechanical Engineering. ASAHINA, FUKAMI & TAMURA INTERNATIONAL PATENT FIRM was founded by Sohta ASAHINA and others on April 1st at Tsuboya-machi in Kita-ku, Osaka. Reorganization into ASAHINA & CO.
Relocation to Kyobashi in Higashi-ku (current Chuo-ku), Osaka. 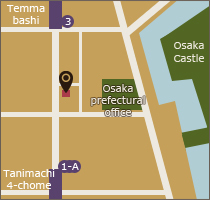 Relocation to Tanimachi in Chuo-ku, Osaka. Kiyoshi KAWAMURA, Patent Attorney, became the 2nd President following the death of Sohta ASAHINA. Patent Professional Corporation started to provide service as from April 1. 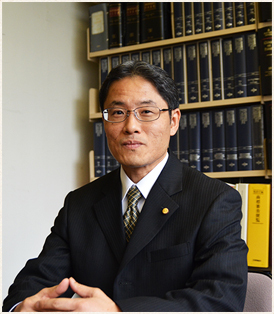 Masahiro MISHIMA, Patent Attorney, became the 3rd President on the same day.